We are the proud owners of 13 delightful owls. They belong to 6 different species, none of which is native to this country so can’t be released. 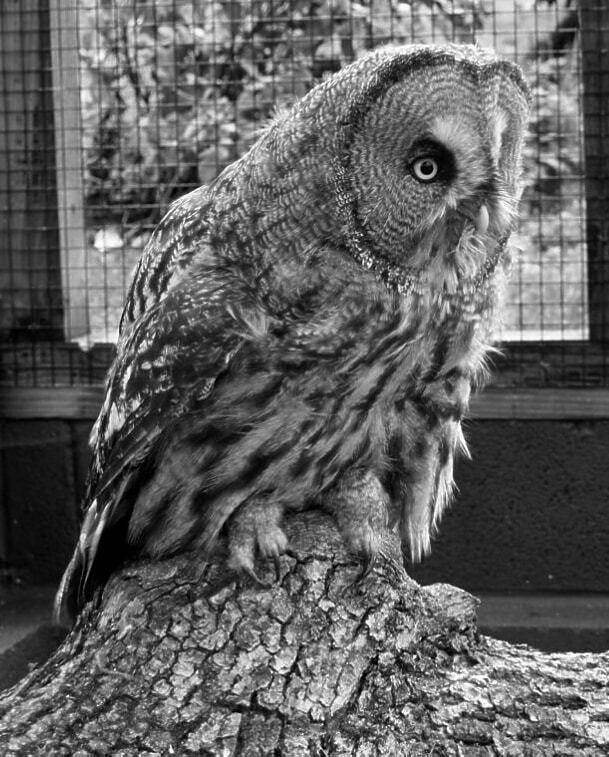 All our owls love visitors so while you’re here, why not pay them a visit. 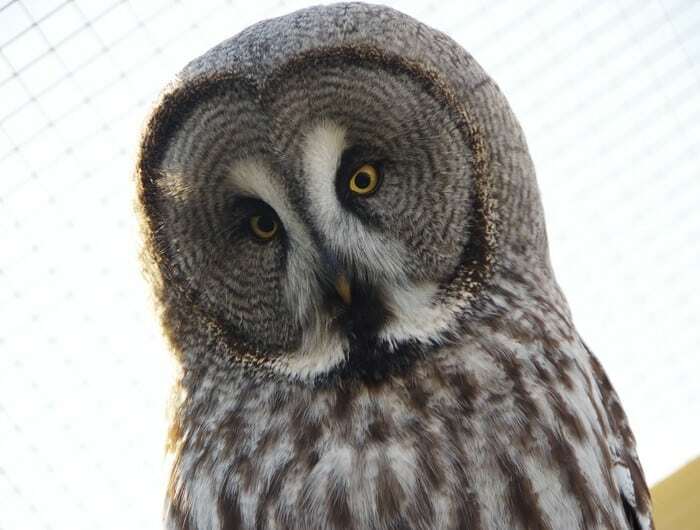 Grizzle and Earl are our Great Grey Owls. They were introduced to each other in 2016 and have been friends ever since. Grizzle has been with us for some time and came as a male. Following DNA testing, we discovered that Grizzle is in fact a female and she and Earl are now a true pair. 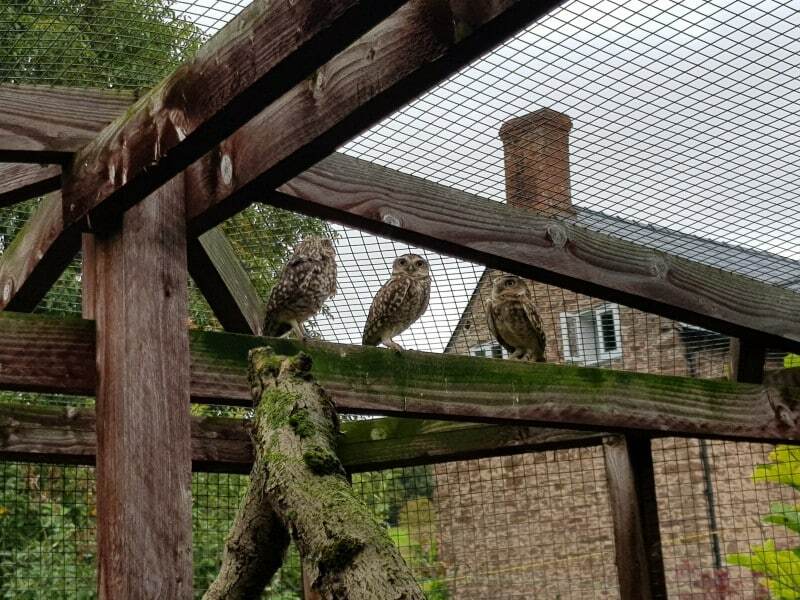 Skye, Horatio and Heidi are our Burrowing Owls. We rescued Skye and Horatio from very poor living conditions in 2015 and they have settled really well, and we welcomed Heidi in April of this year. They are excellent parents, but they do shout a lot! 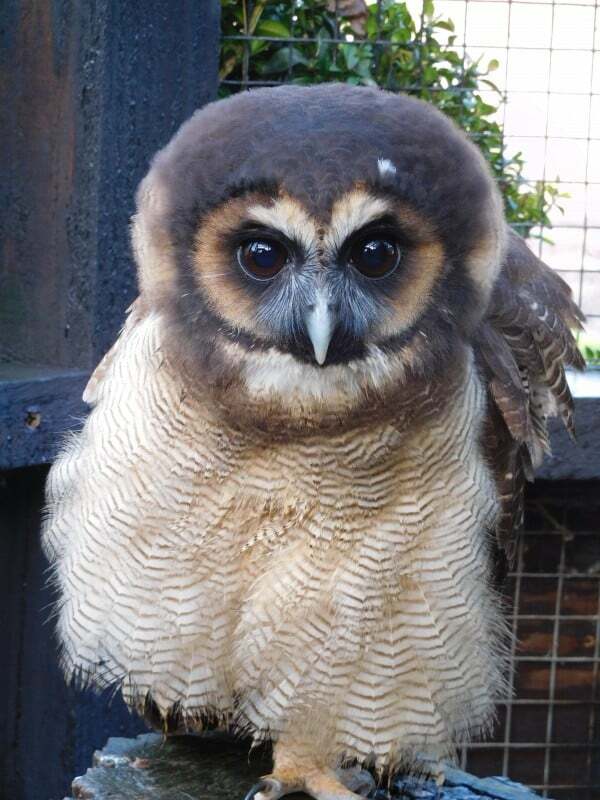 Recent additions are a group of 4 Southern White Faced Scops Owls, Henry and his 3 wives Gladys, Iris & Mavis. They came to us early in 2016 as an established group and have settled really well. They display some very interesting behaviours and a range of vocalisations. Harvey & Marmite are our Brown Wood Owls. They are native to South Asia, India, Bangladesh and Sri Lanka. These owls are closely related to Britain’s native Tawny Owls. 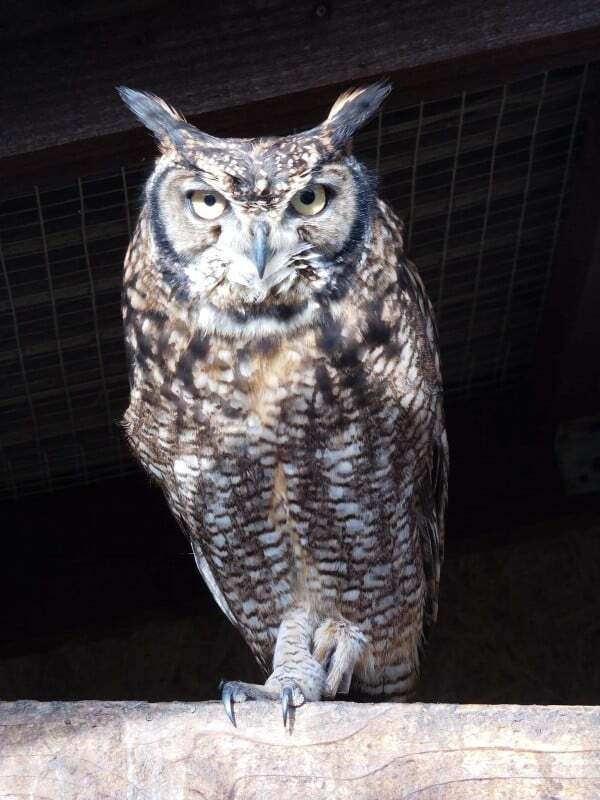 This is Archie our newest addition, he is an African Spotted Eagle owl. He is native to Southern Africa, Sub-Saharan Africa, as well as parts of the Arabian Peninsula. He could live to be 20 years old. 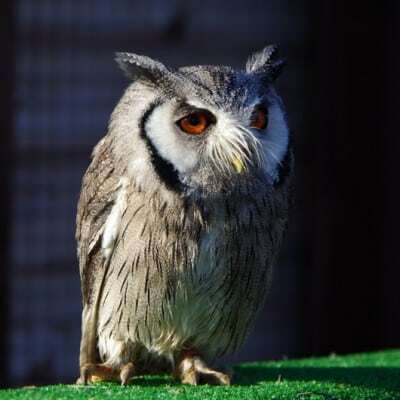 Archie is short for Archimedes the owl from the Disney Classic The Sword in the Stone.